The KPN Grand Prix consists out of 5 competitions. All the competitions will be held on natural ice. Each competition will cover a distances between 80 km and 200 km. 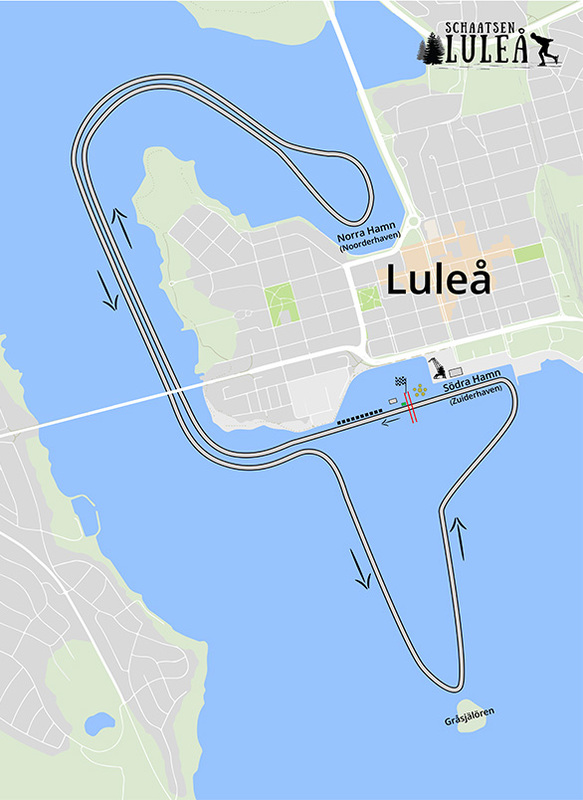 There will be 3 Grand Prix competitions for men and women in Luleå. It’s the only dutch speed skating competition held on sea ice at the Botnic Gulf. The KPN Grand Prix competitions in Luleå will be organised on 21, 23 and 24 February 2019. There will be 3 skating competitions with distances of 80, 100 and 150km for men and 60, 80 and 100km for women. The loop is around 10 KM and is situated around the beautiful city Luleå. Luleå is a city on the coast of northern Sweden, and the capital of Norrbotten County, the northernmost county in Sweden. Luleå has about 75,000 inhabitants and is the seat of Luleå Municipality. Luleå has the seventh biggest harbor in Sweden for shipping goods. Luleå University of Technology is Sweden’s first technology university and the northernmost university in Sweden. The town’s Royal charter was granted in 1621 by King Gustavus Adolphus of Sweden. The original town was situated where Gammelstad (Old Town) is situated today. The town had to be moved in 1649 to the current site, due to the post-glacial rebound that had made the bay too shallow for ships to enter. Go to Lulea.nu for more information.